To celebrate the Geneva motor show, we're giving away the March 2018 issue of CAR magazine for FREE to read on your device. The CAR magazine app has been completely overhauled and optimised for your phone and tablet. The newly designed interface allows you to scroll through articles with a swipe of your finger and tap on content to reveal image galleries and additional content. Use the relevant app store links above for your device. 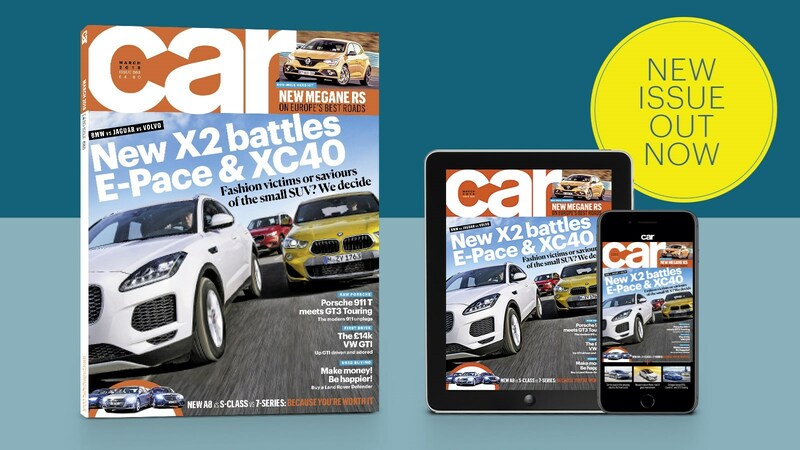 CAR works on iOS and Android devices - so you can now carry the latest issue with you in your pocket while you're out and about. If you’re after even more new cars, analysis, opinion and comment from the Geneva motor show, then the new April 2018 issue of CAR magazine is jam-packed full of it. It's out on 14 March 2018 and you'll find loads more brilliant stories about many of the show-stoppers from Geneva. Be sure to download our app to get early access to the April issue. And don't forget to claim your free March 2018 issue by entering the special code above.